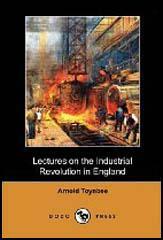 Arnold Joseph Toynbee, the nephew of the social reformer, Arnold Toynbee, was born in 1889. Educated at Winchester and Balliol College, Oxford, he served in the Foreign Office during the First World War and attended the Paris Peace Conference in 1919. Toynbee became Professor of Modern Greek and Byzantine History at King's College, London (1919-1924) and research professor at the Royal Institute of International Affairs (1925-1955). Books by Toynbee include Greek Historical Thought (1924), History of the World (12 volumes, 1925-1961), War and Civilization (1951), War and Civilization (1951), Hellenism: The History of a Civilization (1959) and Hannibal's Legacy (1965). Arnold Joseph Toynbee died in 1975.